A slightly up-scaled Darwin or Mendel can fit a mini-mendel inside. 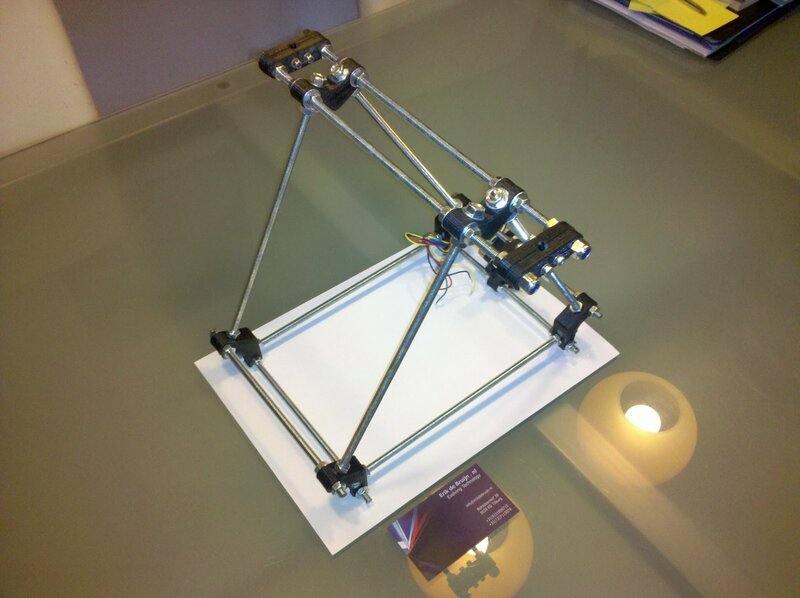 It would mean that we could one day print a mostly assembled machine (frame)! 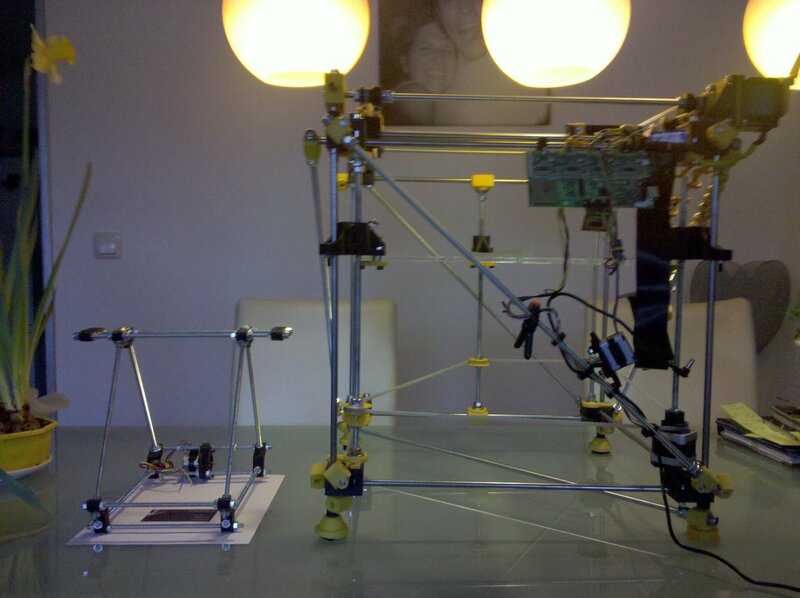 or we could use multiple extruders in one machine on the same axis and print everything 2x. 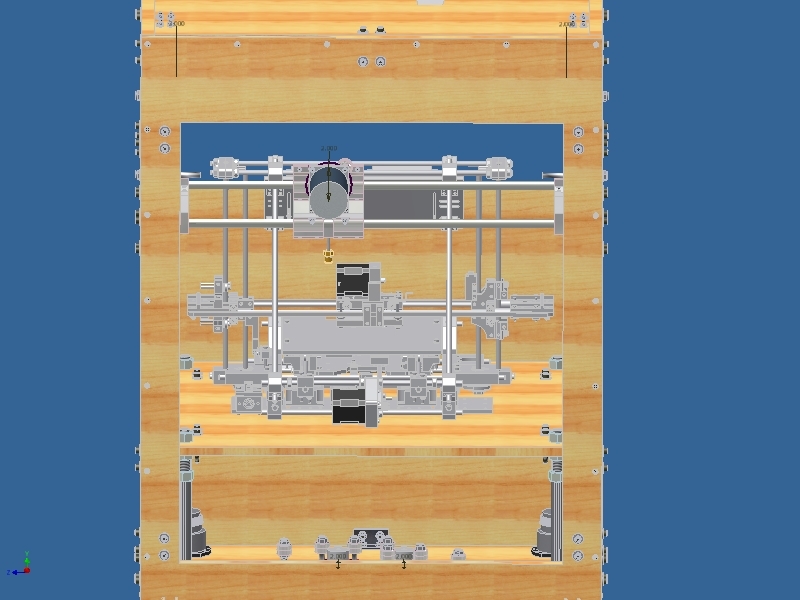 Here is a render of my boxed reprap with the full size Mendel sitting on its print bed, the z is a few inches to short, but I could defiantly print it out if it was possible. but since my printer cant print anything over 3 inches right now without warping I would have to have one hell of a heated bed.